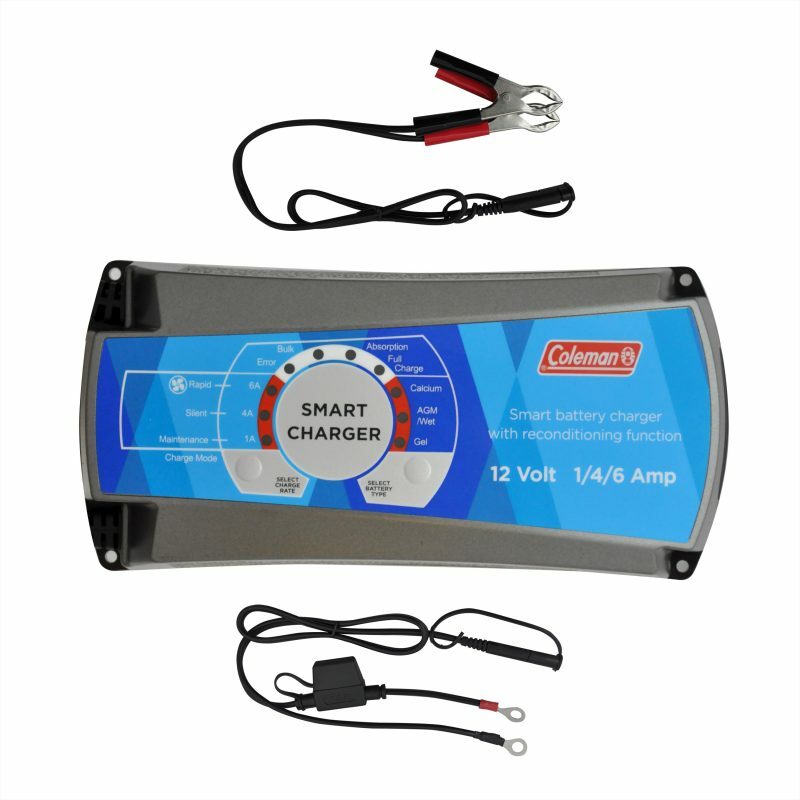 12-Volt, 1/4/6 Amp Smart Battery Charger With Reconditioning Function - SunForce Products Inc. 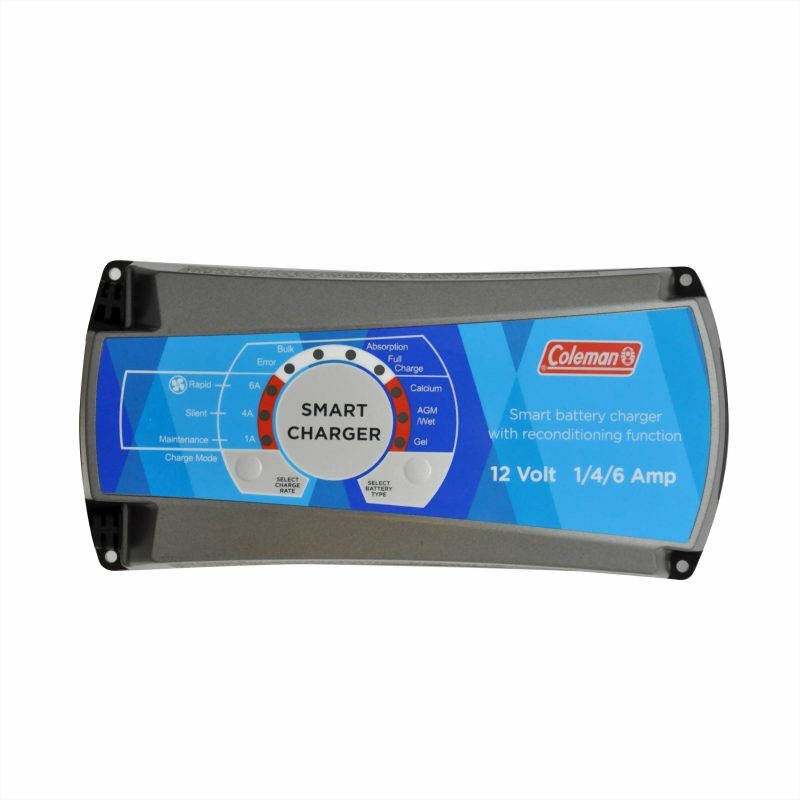 This Coleman automated smart battery charger has three charging modes. Rapid charge mode: Uses the rated maximum charging current to ensure the fastest charging time, the fan of the unit will turn on to ensure the maximum charging current. Silent charge mode (Night mode): Charges at a slightly reduced charge rate without the fan. 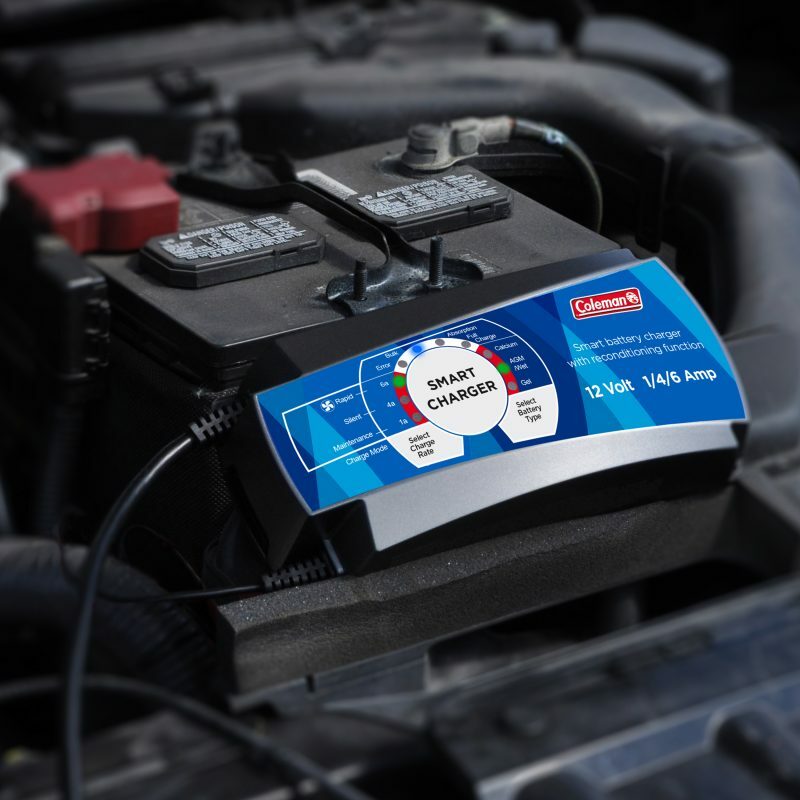 Maintenance mode: Ideal and recommended for long term battery maintenance. 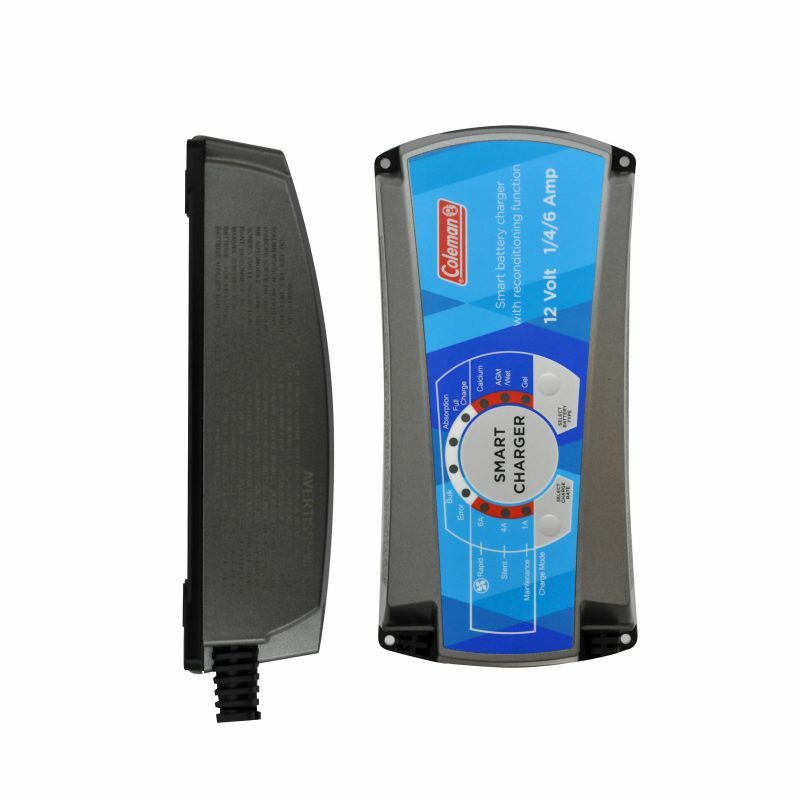 In addition to these three modes, the battery charger has a built-in with overheat and overload electronic circuit protection. When the charger overheats, the charger will decrease the charging current. If temperature is decreased, the charger will resume to normal charging. 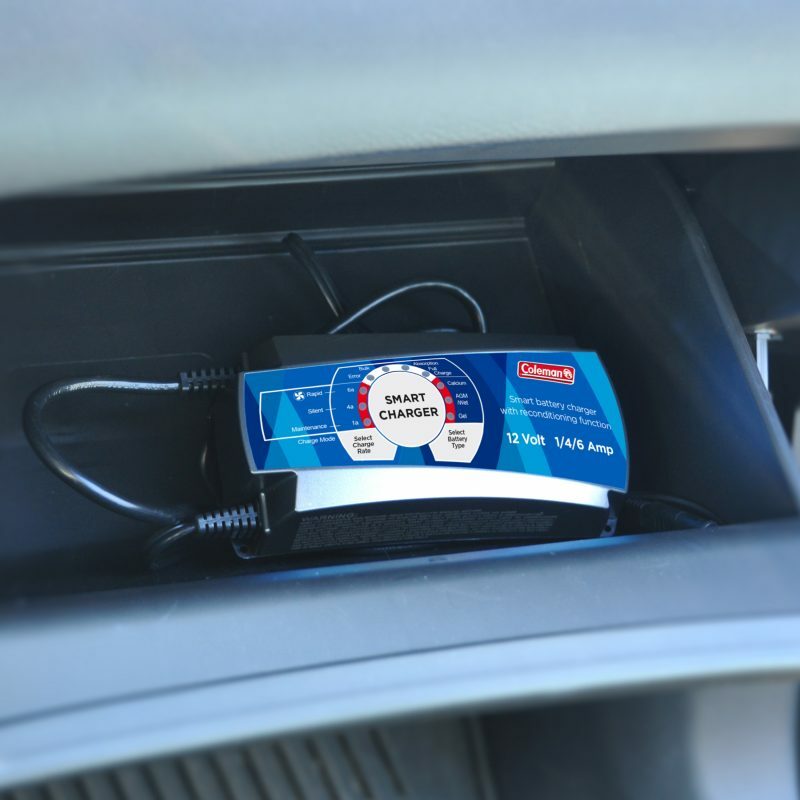 Yes, this battery charger comes with a 1-year limited warranty.